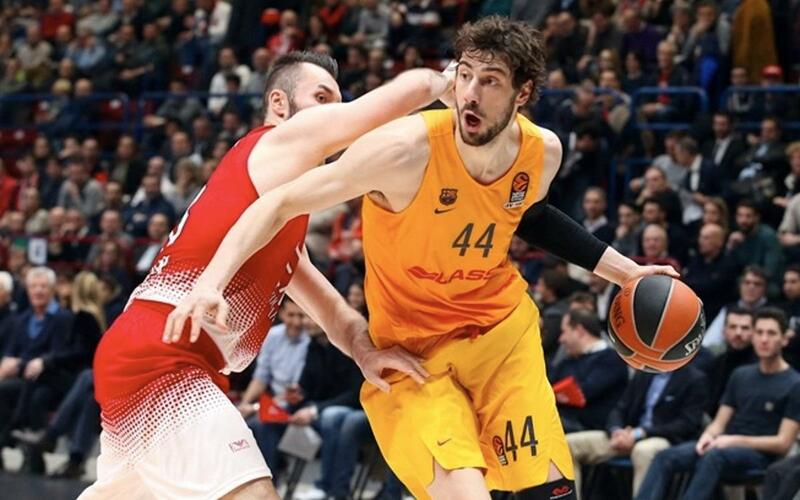 Barça Lassa ended a run of eight away defeats in the Euroleague with a victory over Mediolanum Forum Milan thanks to an impressive third quarter which set the Catalans up for a victory away from the Palau Blaugrana. Ante Tomic, with 19 points, was the star on the night and he was ably supported by Koponen (16) and Vezenkov (13). All three helped Barça Lassa record their ninth win in the European competition this season. The first half saw the pendulum swinging back and forth as both sides took and then lost the lead throughout. Milan moved ahead with a score of 17-11 but were quickly pegged back thanks to six Koponen points in a row and the score at the end of the first quarter highlighted the lack of a dominant side with the teams tied on 22 points apiece. Bartzokas’ side had been solid but in the second quarter they looked less confident. The team started to lose lots of balls and the home side were efficient in attack, which helped them build a lead. The score went from 36-27 to 45-30 when the Italians scored a series of unanswered baskets and looked to overwhelm the Catalans. However, Barça’s response was impressive. In the last minutes of the second quarter the blaugranas responded to the home side’s dominance with 11 unanswered points (45-41). At the break the game was in the balance and Barça maintained the form they had shown at the end of the second quarter following the break. Tomic and Koponen had led the charge during the first half and in this third quarter the whole side got involved. Milan lacked accuracy and Barça made the most of this by controlling the rebound. A Vezenkov three pointer gave the blaugranas the lead (46-45). The blaugranas kept improving and slowly the advantage increased until they had opened a ten-point margin by the end of the third quarter (65-55). The Catalans refused to be unsettled by the team from Milan’s attempts to unsettle them and close the gap as they closed in on an important away victory. Even though Barça Lassa looked safe Milan did everything they could. The Italians played with pride and were backed by their home crowd. They managed to bring the scores back to 77-70 but Rice’s calming play and Oleson’s three pointer helped secure the result on the night. The final score of 83-78 gave Bartzokas’ side a confidence boost and kept their classification hopes alive.